Moderators are in-game volunteers who represent the KaW community to the developers, and also the developers to the community. They monitor and report minor bugs, in-game issues, educate players, and moderate forums and public chat channels like world chat and walls. For further information regarding posting etiquette in KaW refer to the Silencing Guidelines. Use the quick links below to contact a moderator with any in-game question, comment, or complaint. 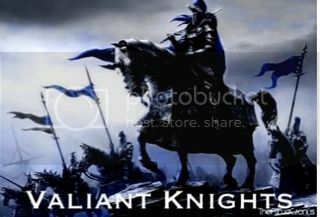 Valiant Knights are stand-out individuals in the community, who have been singled out by the developers for a variety of reasons. Namely, a user is knighted for being rad, but also for having elite and technical game knowledge, or for being helpful and positive community influences. See Moody's thread, “Who/What are the Valiant Knights” to learn more about the individual stories of the Valiant Knights. Last edited by Moody on Jan 6 2019, 1:09am, edited 9 times in total. Hey Moody! Nice thread! Its always good to see these things updated and kept current! Now.... can you do something about the starting tutorial? Last edited by Delphin on Jan 28 2018, 3:23pm, edited 1 time in total. Not a bad idea. If you have someone in mind you could probably send a recommendation in for consideration? Hows moody a mod and a knight? Mango isn't Mango anymore and no longer a knight. Tzshifter wrote: Hows moody a mod and a knight? Alot of them are. Which makes sense. They probably should fit both descriptors. I mean shouldn a mod have the qualities of a knight? I would think it goes hand in hand without the title. Still confused how UPC is still VK considering he’s been inactive longer than I have. And I have been inactive for YEARS. Like fr..